can we speak in flowers. As many thinkers, artists, musicians, and other great minds have quoted, music is the universal language of mankind. SupesBase [which stems from a culturally and timely relevant joke in the super basic way of saying "super basic"], who's real name is Justina Nguyen, has been immersed in music all of her life. Born and raised in Houston, Texas, she began studying classical piano at age 5 and competed in performance + repertoire, as well as theory + composition during her childhood through young adulthood. She also picked up the oboe along the way, as well as joined percussion + drumline in school. What started out as an extracurricular skill and activity that was imposed upon her by her parents morphed into a lifelong passion. With the encouraging words of friends, family, and strangers, as well as guidance from a patient mentor [looking at you, Heaven Malone], SupesBase decided to reincarnate her musical chops through the curation of the music that engrosses her, as well as the orchestration of human connection throughout a space or environment--encouraging unspoken conversation between performer and audience. 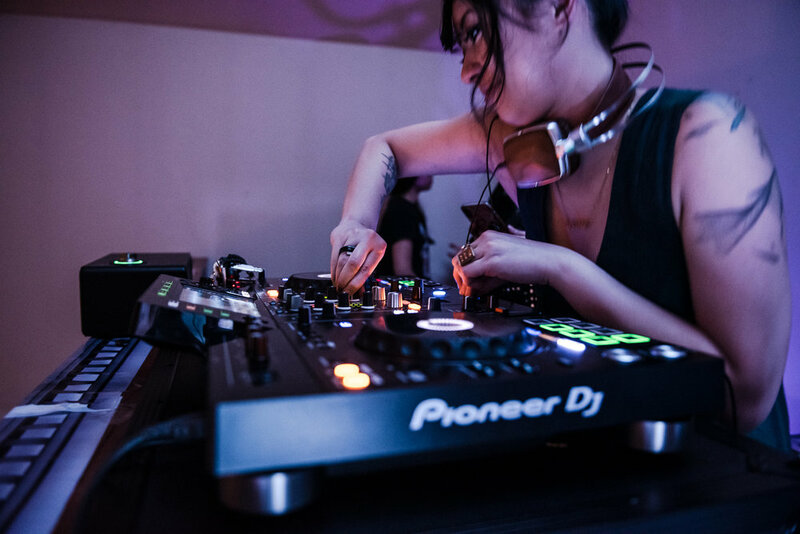 She quickly realized that the music she played resonated with people from all different backgrounds with both similar and divergent tastes in music. Music has always been her genuine form of communication; you'll always know how she's feeling by what she decides to play for you. Forming that visceral bond with other people can be so powerful; even the slightest nod, cracked smile, or foot tap from a person amplifies those intrinsic micro-moments we all live for. She loves working with brands and organizations to create environments and experiences that promote positivity and good energy—with music + performance just being one component to make this happen. Music comes in all sizes and shapes, and finding the right ones to enhance a specific experience is her strength. It’s even more meaningful to work with those with specific intentions and values that align with her own, namely tied to cultural and social topics to educate, support, and empower humans. She's eternally grateful for her musical background, which allows her to see, hear, and feel music from both a mathematical & analytical standpoint, as well as an intuitive & instinctual manner. Her mind functions this way, through an equal marriage of the right-brain and left-brain; paramount facets of her life reflect this: the study of classical Latin [think: doing calculus with language], daytime gig as an experience strategist at Digitas + Leo Burnett, side hustle as head of strategy for a cultural curation collective called Mob Rep, and last but not least, her ambidexterity [left-handed writer, right-handed everything else-r]. Her background in experience strategist allows her to deeply collaborate towards a grande vision and to ensure there’s cohesion throughout an optimal experience. As a good vibestigator, her fortes are: 1) her contagious performance moves that gets people to feel the groove and stay in the moment + 2) her ability to transcend + blend a variety of musical genres that’s accessible to everyone—taking them through an odyssey of movement. Check out some of her playlists, through which she demonstrates the breadth and depth of various musical styles and genres for different occasions, moods, and mindsets. And if any of them tickles your fancy, then let's create a new experience together.